Sydney CBD, Sydney Metropolitan Area, NSW, and Australia. Providing first-class service to businesses, government departments, facilities and community organizations. We understand all of the pressures, deadlines, and urgent needs of clients seeking a qualified commercial electrician. Our qualified industrial electricians have deep experience working in factories, manufacturing plants, and sensitive areas. They take a no-compromise approach to safety and security, and provide a superior quality of work. We provide a complete range of electrical services to the construction industry. Our qualified construction electricians understand the importance of deadlines, and are regularly deployed to sites across Australia. From ADSL lines and outlets, to mission-critical network & fibre optics rollouts, The AJG communications technicians are ready to deliver the high quality workmanship your networks demand. 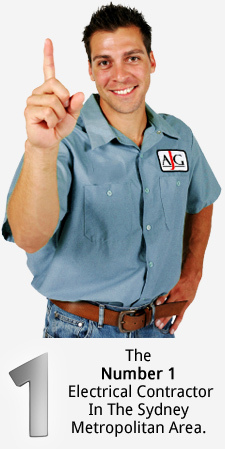 AJG offers dependable and cost-effective maintenance services. Our custom solutions will ensure services are operating at maximum efficiency, and any emergencies are dealt with immediately. Our qualified domestic electricians are on-call 24/7, ready to assist with all your domestic electricity needs. Whether it’s repairs, maintenance, or installations – we provide quality work at competitive rates.